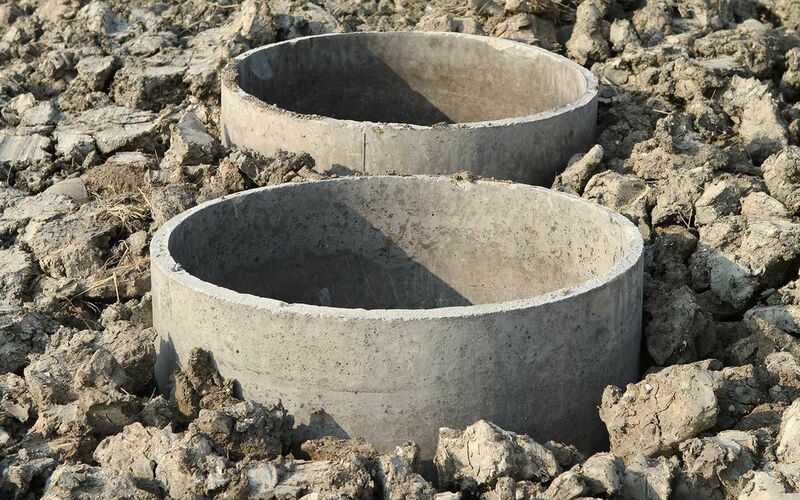 Septic System Do’s & Don’t’s | Extraction Waste Management Ltd. While Extraction Waste Management provides thorough and reliable service for septic tanks, we know that preventative maintenance is often the best thing for them. Contact us today with any questions about your septic tank. Have your tank pumped every three to five years. Septic systems professionals should inspect the entire system - field, distribution box and pump chambers. Know where your system is. Keep a photo or map and maintenance records. Be safety conscious when checking your system. Watch for heavy tank covers, sewer gases, and raw sewage. Practice water conservation by using water saving faucets, and shower heads, and dishwashers only when full; your system will last longer. Take hazardous wastes to approved disposal centres. Plant grass on your drain field rather than trees or shrubs. Water sparingly. Divert roof, patio and driveway runoff away from the drain field. Keep sump pumps, hillside runoff and foundation drains away from the system as well. Protect the reserve drain field area. Ensure that your system is large enough for your needs. Garburators put extra pressure on the system. So do additional bedrooms or suites. Contact your local public health agency for permits for repairs, improvements, installations and further information. Don't put non-degradables down sinks or toilets. No cigarettes, diapers, hair, grease, cat litter, coffee grounds, condoms, feminine hygiene products, etc. Don't use commercial septic tank additives. They are unnecessary, expensive and may cause pollution. Don't use excessive amounts of bleach or kitchen solvents. Don't pour harmful chemicals down your drains: no paint, kerosene, solvents, antifreeze, gas, oil, herbicides or pesticides. These can leach into groundwater and poison the environment. Don't stress the system with multiple laundry loads on one day. Don't discharge water softening devices into the system. Don't park or drive on your drain field. Outbuildings, patios or pools can compact the soil, crush pipes, and reduce aerobic action in the drain field. Don't saturate your drain field with automatic sprinkling.